It isn’t often that a seismic cultural shift can be traced to a single, defining moment, and even more rare that this historic tremor should issue from the world of skiing. Yet on October 16, 1988, a former U.S. National Ballet Champion and heretofore little known auteur, Greg Stump, unveiled his latest production, The Blizzard of Aahhh’s, and the world would never be the same. Lest you think I’ve finally become utterly unmoored from reality, here are some nuggets to chew on. Before BOA, the expression “extreme sports” had yet to be coined. Of course, iconic daredevils had already been chronicled in films like Roger Brown’s Ski the Outer Limits, but Tommy LeRoy, Hermann Goellner and Mike Lund never became household names. 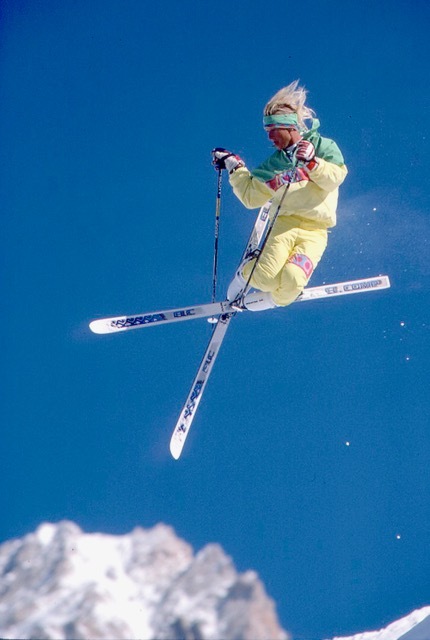 When hotdog skiing burst on the scene in the late 1960’s it catapulted Wayne Wong, Scott Brooksbank and John Clendenin into the ski firmament, but the National Ski Areas Association crushed the freestyle movement into oblivion by the late ‘70’s. Its rebirth as FIS-sanctioned events eventually got mogul skiing into the Olympics, but it was like inviting cops to a party. The festivities still went on, but the spirit of rebellion had been wrung out of it. Schmidt demonstrates how to flash the sponsors’ gear. When BOA debuted, snowboarding was still in its infancy, embargoed from appearing at most ski resorts. Scot Schmidt had appeared in several Warren Miller features, but only in maddeningly brief segments. 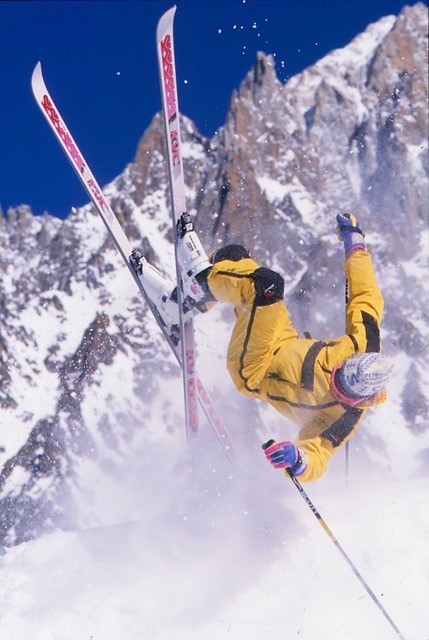 Mike Hattrup was a gifted mogul skier when mogul skiing was a roadside attraction on the highway to anonymity. Glen Plake had made his first film appearance the year before in Stump’s Maltese Flamingo, but it was mere prelude to the stardom that awaited him in Blizzard. The exact moment the ski world tilted on its axis occurred when Schmidt and a red-white-and-blue Plake, in full Mohawk, appeared on the Today show with Bryant Gumbel. A transparently gobsmacked Gumbel had trouble believing Scot was so nonchalant about risks that seemed terrifying and Plake – on his disarming best behavior – also acted like his exploits were no big deal. It was during this conversational scrum that Gumbel used the word “extreme” to describe his guests’ antics, and somewhere a genie escaped its bottle, never to return. Plake mixing up a mule kick and an iron cross. Very classy. I could list all the ways the extreme envelope has been pushed in the intervening years, but I suspect my alert readers are already composing their own catalog of extremism. For the purposes of this panegyric, I cite as evidence the testimony of Stump’s most preeminent inheritors, Steve Winter of Matchstick Productions and Todd Jones of Teton Gravity Research, recorded for posterity in Stump’s “making of” documentary, The Legend of Aahhh’s. Both Winter and Jones credit BOA as a tipping point in their lives, the inspirational spark that elevated their dreams out of fantasy and into the realm of the attainable. Winter’s soul-wrenching testimony resonates with the reason why Stump gave up moviemaking after Siberia, wherein Schmidt and snowboarding legend Craig Kelly both narrowly escaped avalanches that stripped the mountain to the naked stone. Stump knew if he kept on filming “extreme” exploits, one day he would experience the same helpless agony Winter felt watching his most brilliant star and dear friend, Shane McConkey, plunging to his death. Hattrup makes even this outfit look good. 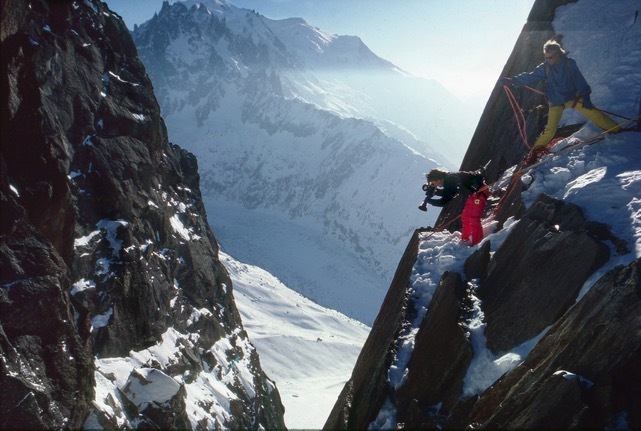 Nobody dies in Blizzard of Aahhh’s, but even fans of the film tend to forget that its most indelible star, Glen Plake, wouldn’t have been part of the cast if Lynn Weiland hadn’t broken her back during the first day of shooting the Chamonix segment. Weiland’s brush with mortality left Stump shaken but not stirred to the point of abandoning the project, so he summoned Plake to France and a cast for the ages was assembled. 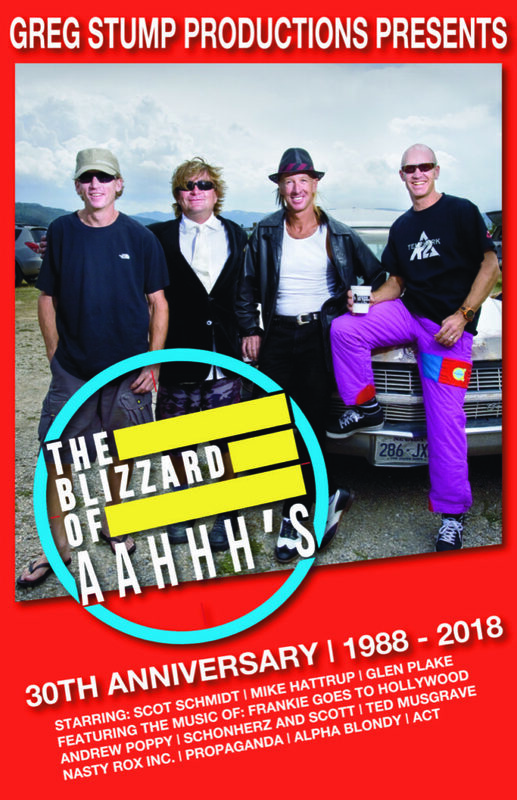 If you missed Blizzard of Aahhh’s 30 years ago, don’t miss it again when the 30th Anniversary Tour comes to a city or resort near you. If you saw it then, see it again now. This isn’t an order, for I have no agency that can force you to go; it’s a commandment, which means you either go or risk eternal hellfire. Your choice. Greg Stump at his office in Chamonix. I’m reasonably sure said director had never seen a multi-colored Mohawk in his life (who had, until Plake came along? ), so I’ll give him a pass on the tomahawk gaffe. Here’s another tidbit about a show that exposed the general public to elite freeskiing for the first time: no skier had ever appeared on the Today show before. Not Killy, not Billy Johnson nor any other gold medal winner. What viewers saw on the screen no doubt terrified some, but none could look away. For many, skiing didn’t matter until that moment, or if it did, those touched by this film began to look at the sport through a different lens. Before I dismount this week’s soapbox, I want to address an injustice that you, Dear Reader, can contribute to correcting. Glen Plake and Scot Schmidt are both deservedly in the U.S. Ski Hall of Fame. 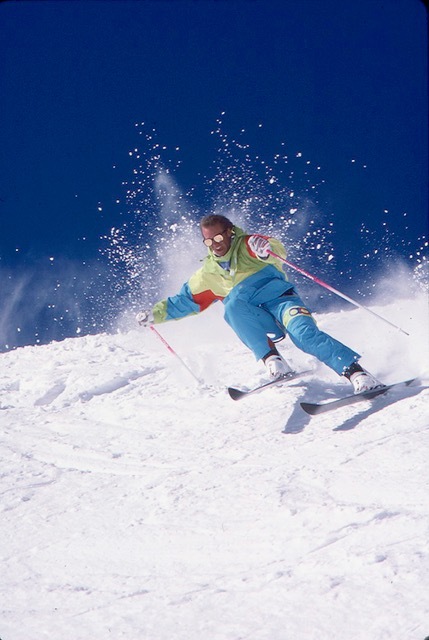 I doubt Mike Hattrup needs the HOF to validate what has been an illustrious ski career, but his omission feels like a snub in light of the others’ inclusion. Most grievously, Greg Stump has yet to be recognized for his achievements. That should change. Citizens aren’t included in the HOF nominating process, but don’t let that deter you, Dear Reader. 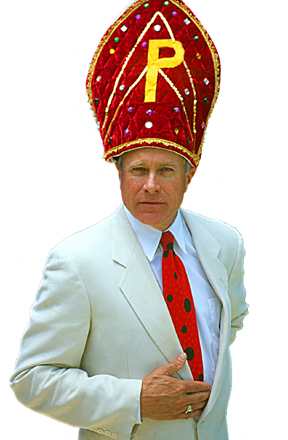 I will take care of the formal nomination; your role is to reinforce said nomination with your anecdotes of how Stump’s oeuvre influenced your life. Please post to the Realskiers Facebook page and copy to koskijus@gmail.com. Please don’t forget to see Blizzard when it comes to a theater near you this winter. If you’d like to promote a local showing, please contact www.Blizzard30.com. ALL BOA PHOTOGRAPHS COURTESY OF ROD WALKER AND GREG STUMP. THANKS, GUYS!